2.Place squash, beetroots, onion in a large bowl and mix with olive oil, sumac and season to taste. 3.Spread on a foil lined baking tray and roast for 40 minutes until tender. 4.In the last 15 minutes of cooking add Grillies Halloumi cubes until the cheese turns golden. 5.Add chickpeas and serve immediately. 2.Spread butter on baguette slices. 3.Grill at medium heat until crust turns golden. Serve immediately. 2.Lightly brush each phyllo sheet with olive oil. 3.Stack 2 sheets of phyllo on a cutting board. 6.Pull opposite corners to form a rectangle, twisting edges together to seal. 7.Place the parcels on a baking sheet and brush with olive oil. 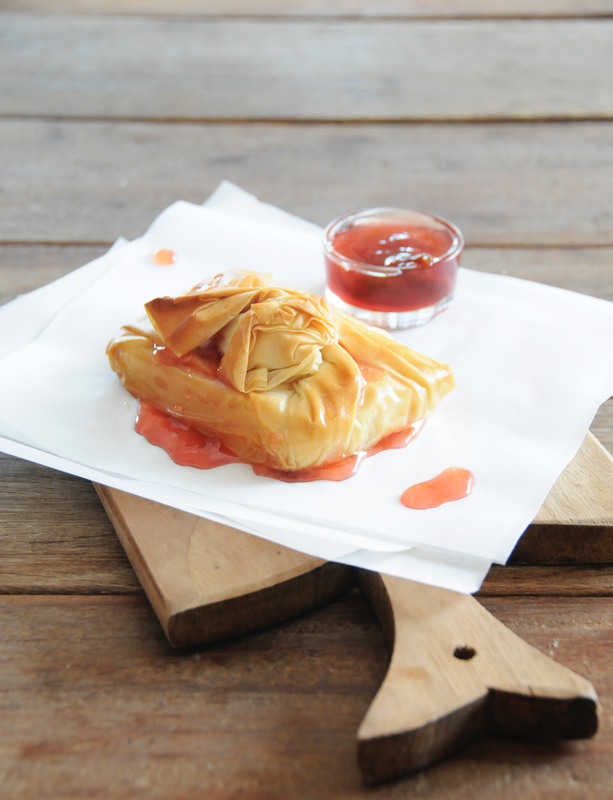 8.Bake for 15-20 minutes until the phyllo is golden. Serve with fig jam condiment.